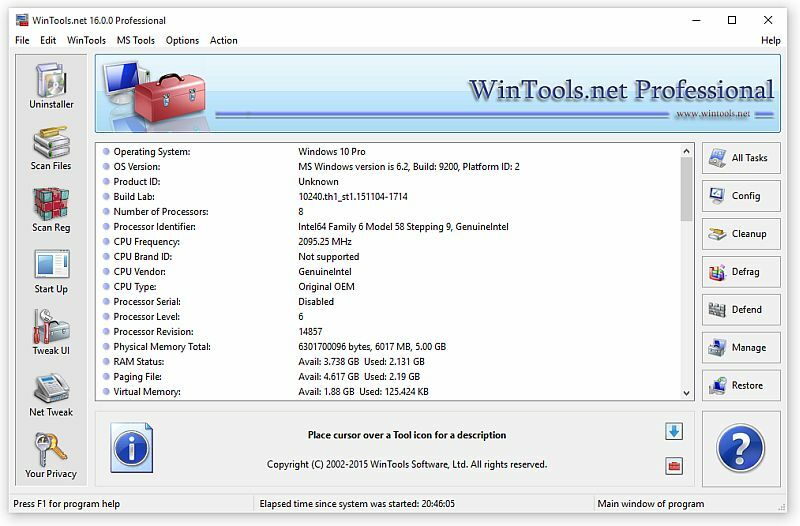 wintools,tool,windows,utility,registry,utilities,x64,cleaner,startup,optimizer,x86,clean,ram,64bit,disk,fixer,tweaker,xp,vista,tools,ins tools: Clean Uninstaller, Scan Files, Scan Registry, Start Up, Tweak UI, Net Tweaker, The Privacy, File Shredder, Invisible Man. memory monitoring and gives you the power to customize desktop and system settings to fit your needs. Adds more speed and stability for your connection.